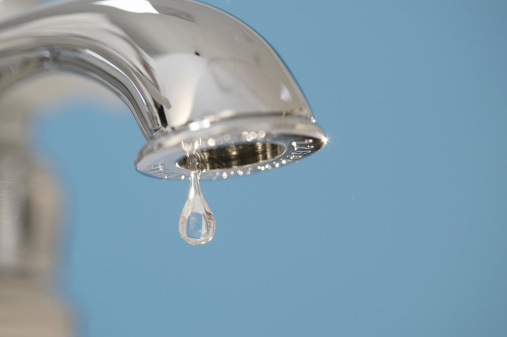 Repair a two-handled Peerless faucet to stop leaks or inconsistent temperatures from the spout. It requires only a few tools and some very basic knowledge about how to use them. It does not require a plumber or any special skilled laborer. If you have experience fixing appliances or in home repair, this project will take about a half hour, depending on the extent of your faucet's problems. Expect to fix basic leakage, low-flow and temperature issues with this quick fix. Take off the cover on the handle by inserting the edge of a knife under the edge of the cover and prying it up carefully. Unscrew the small screw on top of the handle under this cover. Lift the handle off the faucet base. It should slide right off the stem of the cartridge. Unscrew the washer right under the handle -- this is the bonnet and it is part of the stem unit. It holds the cartridge in place. Remove the round washer and cartridge and then insert a new cartridge and washer from your Peerless repair kit. Make sure the new seat and spring inserts into the bottom of the cartridge. Replace the bonnet and tighten it. Install the handle and attach it with the Allen screw. Repeat these steps to replace the cartridge in the second handle if this also has a leak. Once you are finished replacing both handle cartridges, turn the water on and test them. Tighten the bonnet nuts if leaks continue to appear.